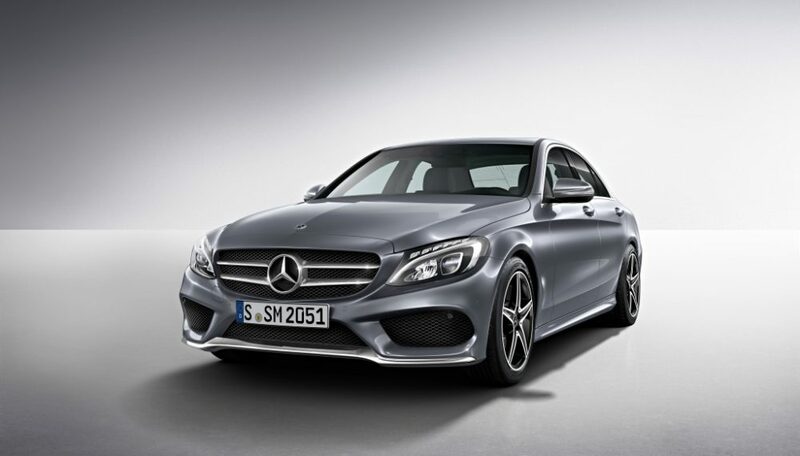 Powerful V8 engines, thrilling driving dynamics and distinctive, motorsport-inspired equipment have turned the top-of-the-range models of the C-Class from Mercedes-AMG into best-sellers. 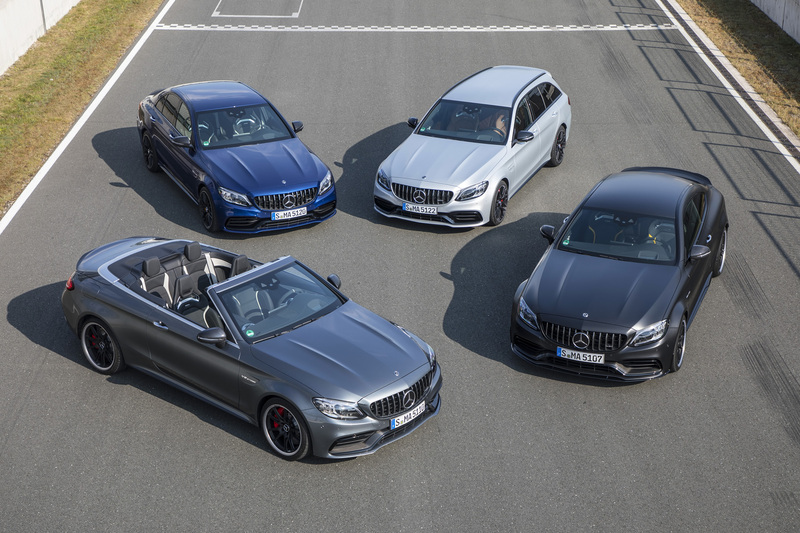 The C 63 perfectly embodies the core of the performance and sports car brand and now offers, in the guise of the Saloon, Estate, Coupé and Cabriolet, even more agility and an upgraded interior with extended individualisation options. The AMG SPEEDSHIFT MCT 9G transmission with wet start-off clutch makes for an even more agile gearshift response. The C 63 and C 63 S both offer AMG DYNAMICS, a new feature of the AMG DYNAMIC SELECT drive programs. This built-in dynamic handling control extends the functions of the ESP® (Electronic Stability Program), allowing precisely measured torque distribution on the rear axle, which increases agility while maintaining a high level of stability. AMG DYNAMICS optimises lateral dynamics and maximises traction when cornering. AMG Traction Control allows the driver to have an even more precise influence on the handling characteristics of the new C 63 S. It allows preselection of the slip on the rear axle in one of nine levels. To start with, the driver must switch off the ESP® using the separate button in the centre console (ESP® OFF position). Depending on the setting, the system permits more or less slip on the rear wheels ‑ very helpful in varying road conditions. Visually, the looks of the new AMG C 63 are even more visually appealing: the AMG-specific radiator trim underscores the brand identity while emphasising the muscular appearance. The interior benefits from an optional fully digital cockpit with unmistakable AMG displays and the new generation of AMG steering wheels. *Electronically limited. **All figures are subject to change Recommended retail prices for Germany including 19% VAT. 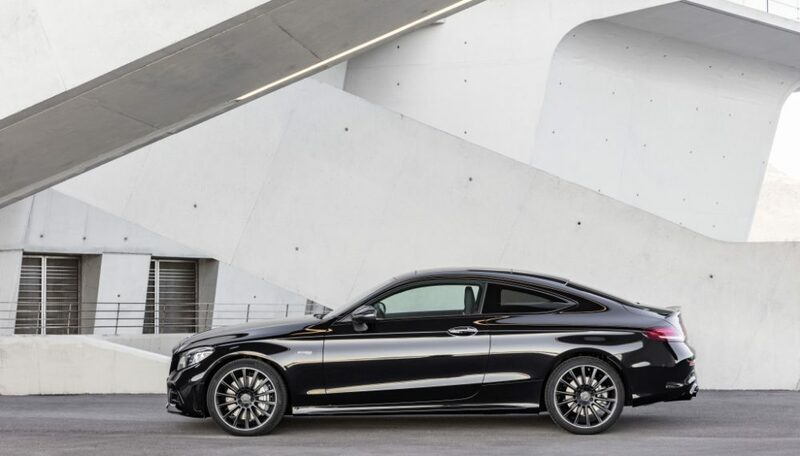 The AMG Exterior Carbon-Fibre package I (3150.50 euros2) lends the vehicle a significant touch of added dynamism from any angle with sporty details in carbon fibre. Alongside the A-wing in the front apron and the side sill panels, the entire lower part of the rear is finished in carbon fibre. The AMG Aerodynamics Package (2082.50 euros2, available for the C 63 and C 63 S Coupé) creates even sportier highlights: the more expressive front splitter, spoiler lip with integral Gurney flap, broader side skirt inserts, flics in the rear bumper and more expressive diffuser insert are finished in high-gloss black. 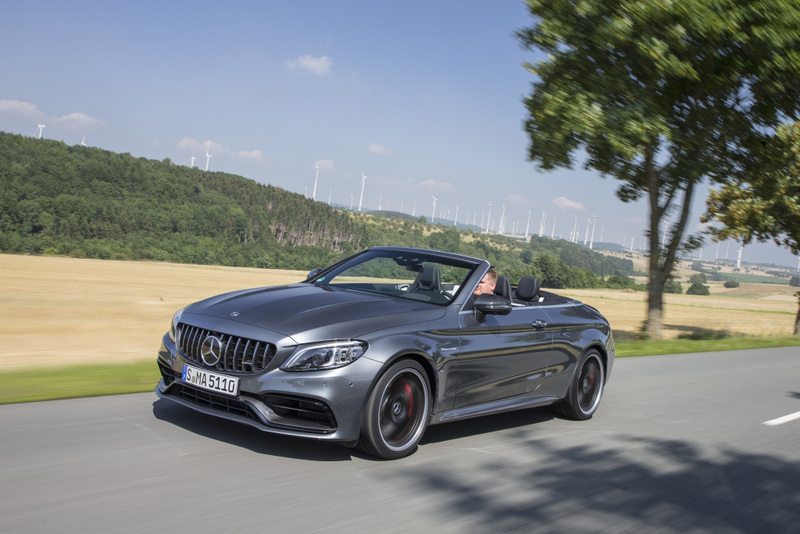 The optional AMG Performance seats (2320.50 euros) provide optimum lateral support when adopting a dynamic driving style thanks to the special design of the seat side bolsters of the seat cushion and backrest. As an option, the seat side bolsters can be perfectly adjusted to the body contours by means of built-in air cushions. With the three AMG-specific display styles “Classic”, “Sporty” or “Supersport”, the all-digital instrument cluster(892.50 euros2) optionally enables the vehicle functions to be experienced directly. The screen diagonal measures 31.2 cm (12.3 inches). On the C 63 S, the steering wheel comes as standard with a rim in nappa leather/microfibre (additional cost for the C 63: 499.80 euros2). As an option, the AMG steering wheel is available in the finishes nappa leather with trim in black piano lacquer (737.80/238 euros2 for the C 63/C 63 S), entirely in microfibre (583.10/119 euros2for the C 63/C 63 S) and also microfibre with trim in high-gloss carbon fibre (975.80/476 euros2 for C 63/C 63 S). As an option the AMG steering wheel can be fitted with innovative additional elements (standard for the C 63 S, additional cost for the C 63: 416.50 euros2). They consist of a round controller with an integral display beneath the right-hand steering-wheel spoke, plus two vertically positioned colour display buttons beneath the left-hand steering-wheel spoke. The AMG drive programs can be actuated directly via the controller. 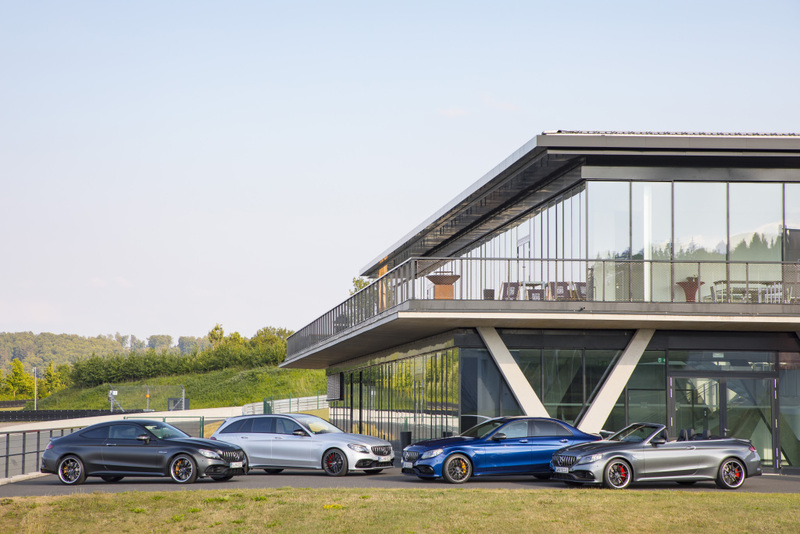 As the virtual race engineer for recording data when driving on closed-off race tracks, AMG TRACK PACE provides a significantly extended and even more precise scope of functions. 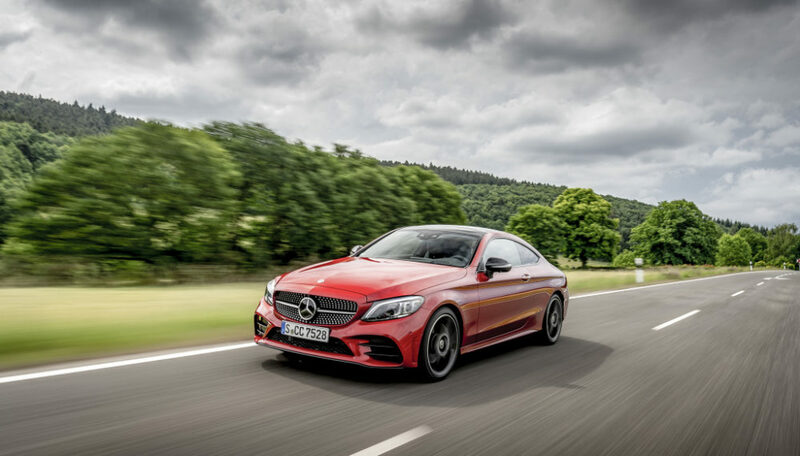 AMG TRACK PACE is a standard component of the optional COMAND Online infotainment system in the C 63 S, while in the C 63 it comes at an additional cost of 297.50 euros2. The optional ENERGIZING comfort control (238 euros2) is also available for the new C 63. It networks together the various comfort systems in the vehicle and uses specific functions of the air conditioning and seats (heating, ventilation) plus lighting and music moods. Depending on the mood or requirement of the driver, it generates a special wellness set-up to enhance well-being and performance.